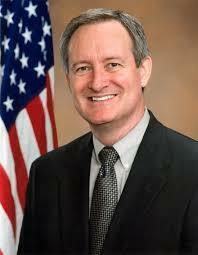 Senator's bill seeks to boost nuclear-energy research in U.S.
U.S. Sen. Mike Crapo (R-ID) introduced a bill on Wednesday that seeks to encourage research and investment in the nuclear energy industry. Crapo said there is an alarming lack of progress in nuclear-technology innovations within the U.S., especially compared with the rapid speed of innovations and advancements in nuclear technology in other nations. The Nuclear Energy Innovation Act, S. 1361, aims to speed U.S. development of nuclear technology, directing the U.S. Department of Energy (DOE), as well as other federal agencies, to take on the necessary challenges. These organizations then would report to Congress so that congressional leaders could host, authorize and oversee privately funded fusion and fission reactor prototypes, which are created at sites owned by the DOE, including the Idaho National Laboratory (INL).